Opened during the summer of 2014, the Shoppes at Westlake Village is one of Southern California’s most beautiful new shopping experiences. 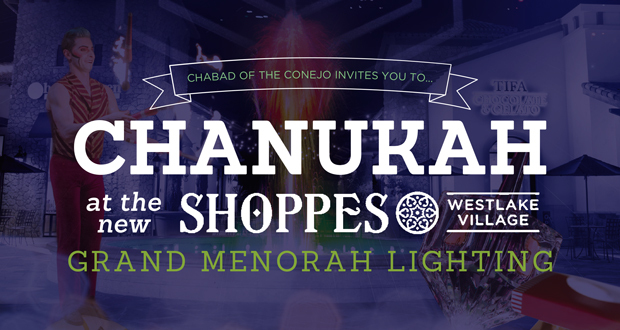 Join us along with dignitaries, entertainers and special guests as we celebrate CHANUKAH at the SHOPPES. • Latkes, Jelly Donuts, Crafts & Dreidles!